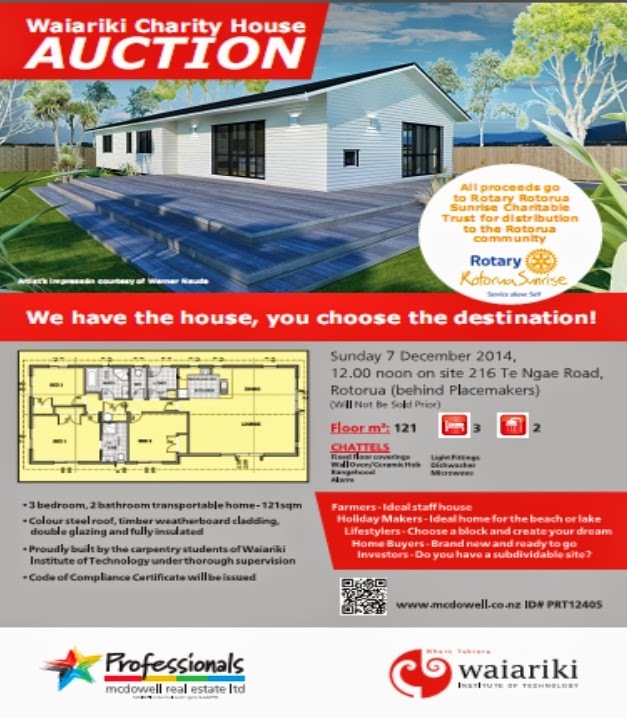 7 December with proceeds going to the Rotary Rotorua Sunrise Charitable Trust for distribution to the community. Go to www.mcdowell.co.nz - then ID#PRT12405 for more information. That’s the night of the big game!